Love succulents? 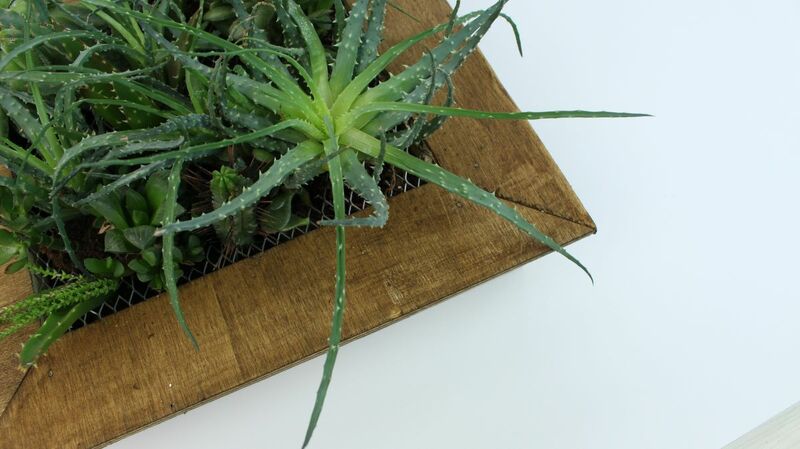 We sure do and can think no better way to show them off than with this DIY plant frame. Love succulents? 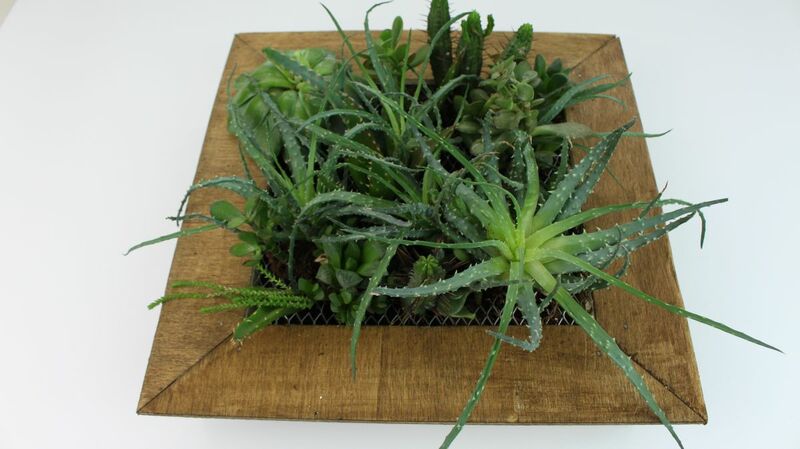 We sure do and can think no better way to show them off than with this DIY plant frame. Start by cutting pieces of 2×2 wood to make a square. 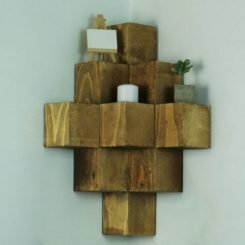 Take a piece of plywood the same size as the square and nail it to the wood pieces, forming a box. Flip this box over and fill it with potting mix. 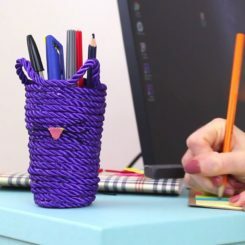 Next, take a sheet of decorative wire mesh like the one shown and cut it to the same size as the frame.Attach it with a staple gun. Finally, make a wood frame whose interior space is the same size as the inside of your box. Be sure that you cut mitered corners to make the frame attractive. 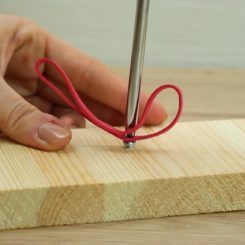 Staple the frame together at the corners and then use finishing nails to attach it to your box. 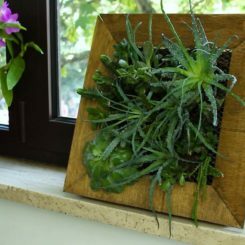 Stain the frame as you like, and you’re ready to add the succulents. 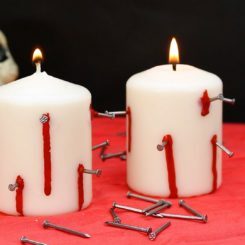 Decide where you will place each one and use wire cutters to remove a square of the metal mesh in each location. 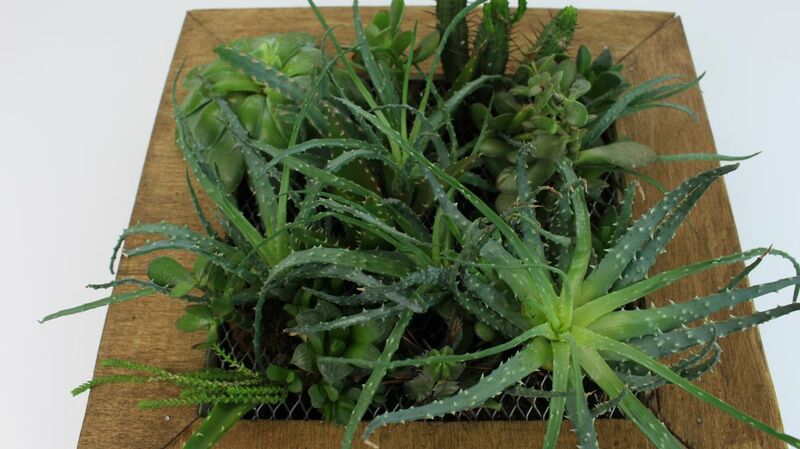 Insert your succulents, mist them and you’re ready to display this DIY masterpiece!